Today in History–March 22–the Library of Congress features industrial designer Raymond Loewy, who presented his designs for a sleek roadster he called the Avanti to the Studebaker Corporation on this day in 1961. Loewy designed cars for other companies too as well as locomotives and a wide assortment of both industrial and consumer products. Learn more about “father of industrial design” by visiting the Today in History section, then take a look at this Exxon company logo and the sources below. Thanks to googles doodle I’ve just come across this image. Do you know if its possible to buy prints of it? 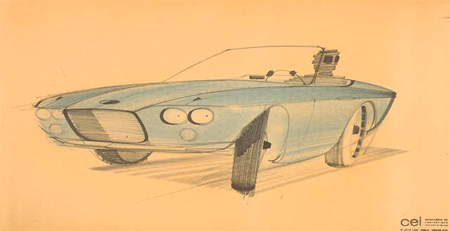 See the Visual Materials from the Raymond Loewy Papers Rights and Restrictions Information. You can also contact the Library about its Duplication Services. Thanks, thats not an easy way place to deal with!